HomeDEFEND BlogVisit Mydent at GNYDM 2017 – Booth #3306! 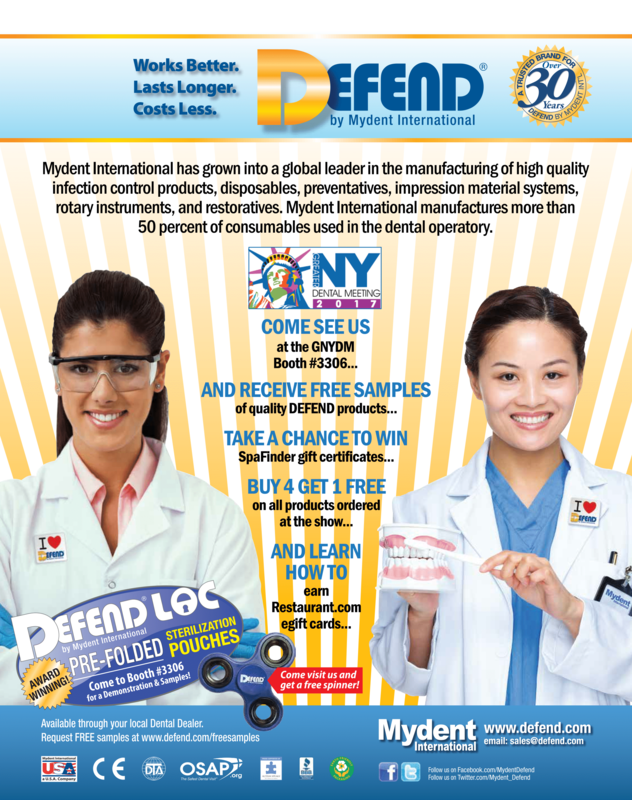 At GNYDM 2017, Mydent will be distributing free DEFEND sample packs and product literature. There will also be 4+1 dentist specials on all orders placed at our Booth #3306 during the show. A $100 SpaFinder gift card will be raffled and Mydent will be giving away limited edition DEFEND Fidget Spinners! Also, come see one of the safest sterilization pouches in the industry – DEFENDLOC Pre-Folded Sterilization Pouches! Visit us for a demonstration and free samples at Booth #3306.